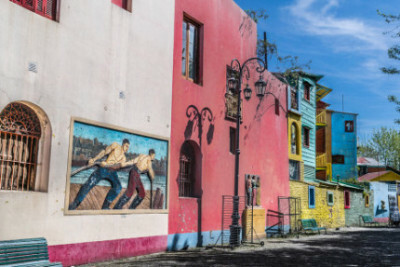 The neighborhood of La Boca has a mythical place in the history of Argentina as the birthplace of Tango, where colorful houses make perfect combination with the great passion for football. 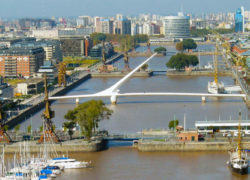 Check this article to know what’s best to do in La Boca. 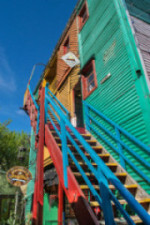 You have probably seen pictures of a famous street full of colors in Buenos Aires. 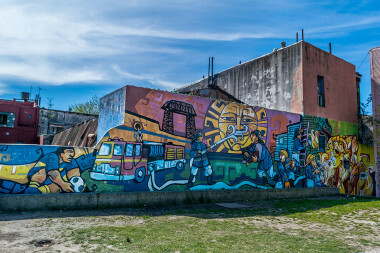 That’s Caminito, an outdoor exhibition of local artists framed by the old houses of the immigrants that arrived to Buenos Aires in the beginning of the 1900s. Nowadays this little street is the symbol of the humble origins of Tango and strong personality of this part of town. In the area of Caminito you will find the conventillos. These are the old houses where immigrants used to live. Many of them host today souvenir and handicrafts shops. Some of them are restaurants and others are still today houses of families. On our tours we always like to get inside the conventillo of our friend Matilde, local to La Boca that invites us in to see the original architecture of the house, but if you are just wondering alone many of them serve today as shopping galleries and are of public access. If you are lucky you will probably meet someone playing music inside one of these! Fileteado is an unique style of art that was developed in Buenos Aires. 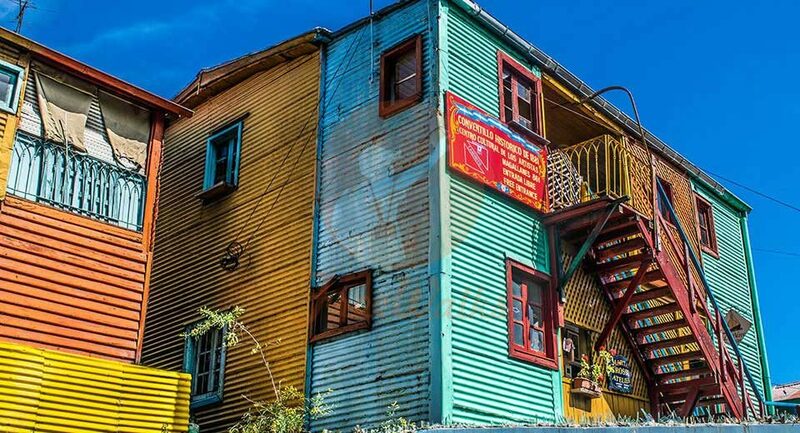 It’s characterized by its vivid colors, curvy lines and creative compositions normally used for decorating shop signs and houses in La Boca. You will see it all over the place! 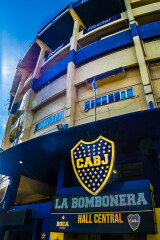 Boca Juniors is one of the most famous football teams in the world. Known for the passion of its fans and overwhelming amount of tournaments won, this team is a great reason to make the people of La Boca very proud. Their sadium, known as La Bombonera, is a temple of football. 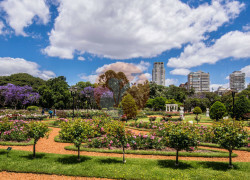 All these sights and activities included on our La Boca Tour!